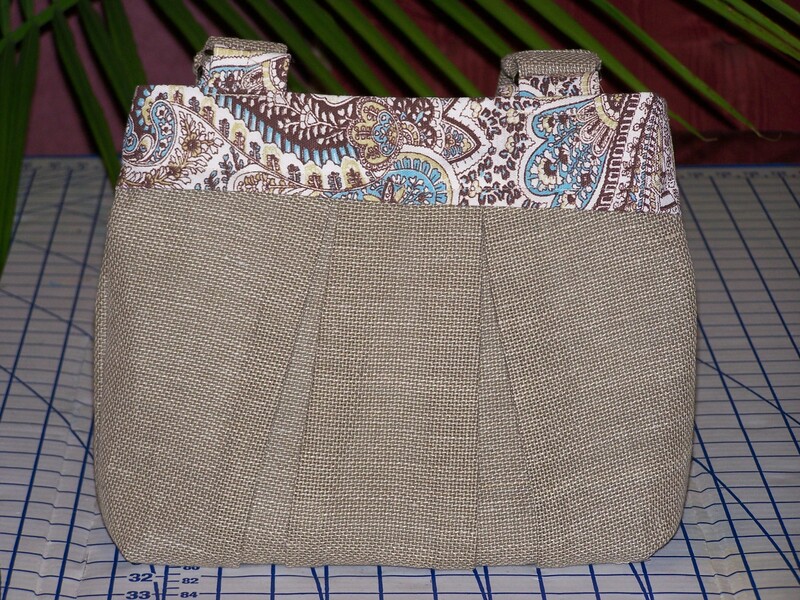 The upcycle Linen Safari Handbag, is pure joy! 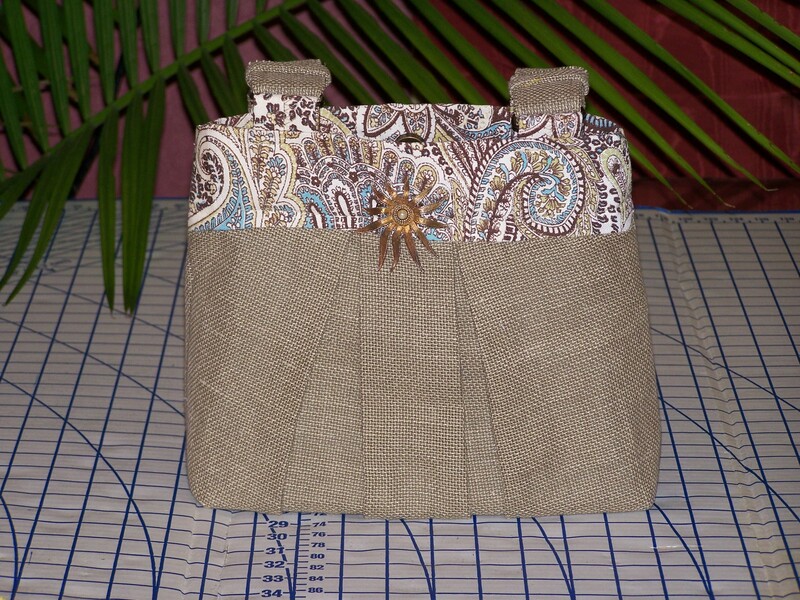 Using a burlap curtain panel and paisley fabric remnants to create this pleated design, is strictly dedicated to my neutral color purse fans. After receiving the results from the “Color My Purse Beautiful” poll. I decided to create something in a neutral color. I must admit that I like bold colors, but my goal is to make something that people love. 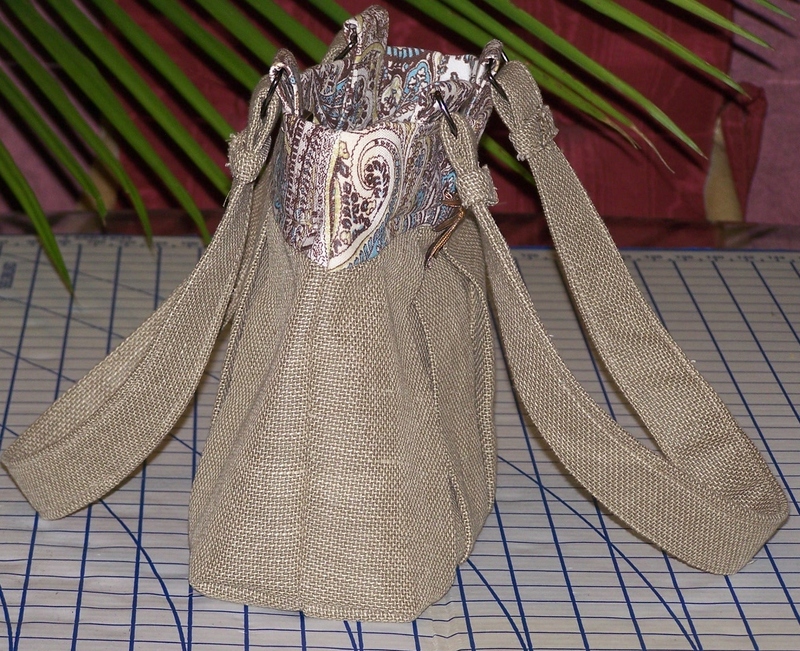 So here’s a look at the Linen Safari Handbag, let me know what you think of my newest creation. 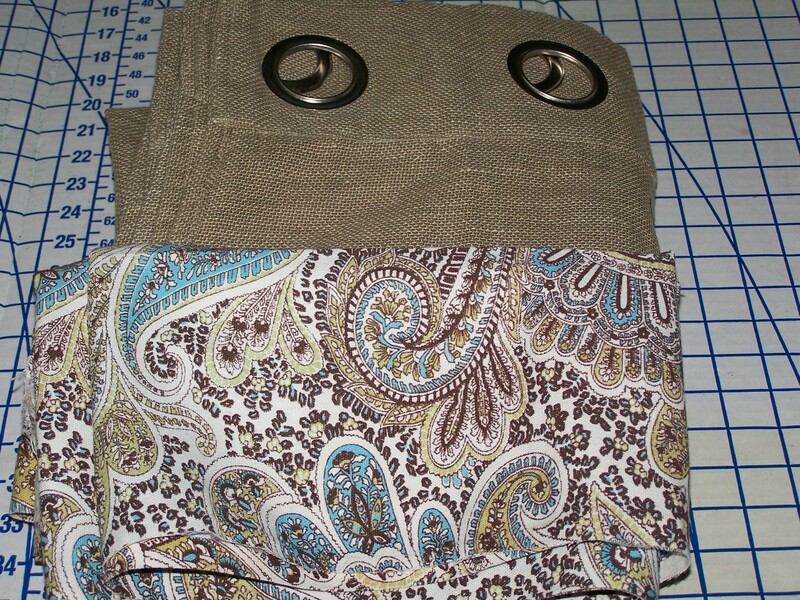 I love your fabric choices, especially that the linen was repurposed! I also really like the pleats. Great bag! Great job puddin! Really like the safari bag with the pleats.. 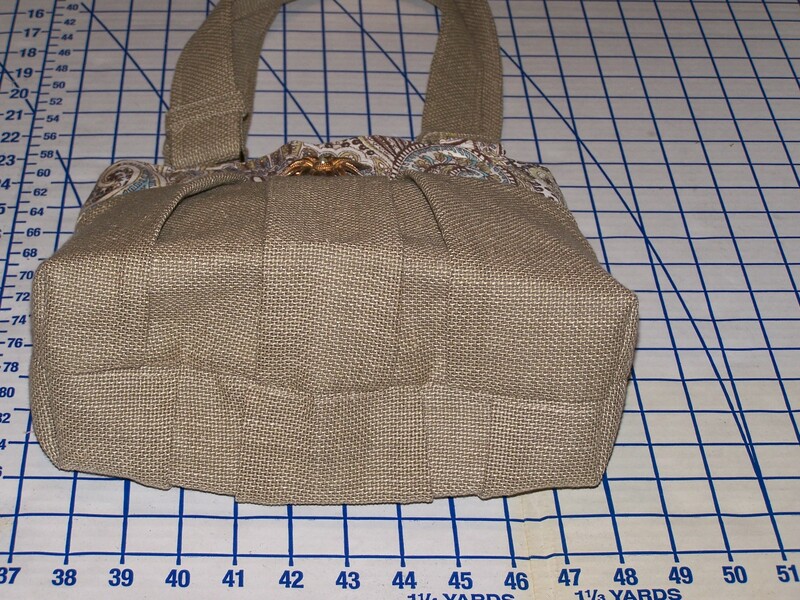 I like how all of the pleats leaves tons of room in the purse, but it takes less square feet. Your’e right! That’s what I love too. This purse gives you lots of extra space when need.